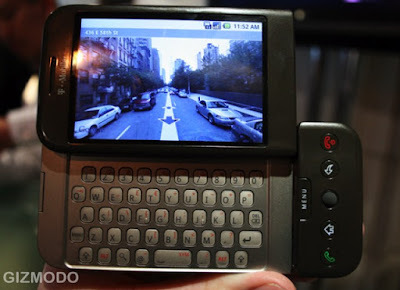 T-MOBILE: "G 0 0 G L E G1" GOT THE BANGER FOR A BUCK FIF ($150)..TOUCHSCREEN...GMAIL....YOUTUBE....FILE-TRANSFER!!!! Set to launch on October 22nd for $179 on T-Mobile in the US on a two-year contract ($399 no contract). November for some parts of Europe.